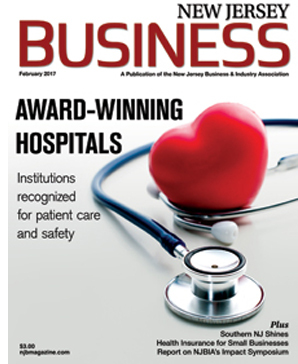 Whitesell is proud to announce its inclusion in the recently featured article, “Southern New Jersey Shines” appearing in the February 2017 issue of New Jersey Business Magazine. The article, written by Anthony Birritteri, discusses the positive economic growth climate and development initiatives currently taking place in the southern New Jersey region. Thomas J. Heitzman, Whitesell President, cited the firm’s solid industrial leasing activity over the past year as an indicator of the economy’s strength led by an accelerated demand of large retail and e-commerce businesses seeking to increase capacity and improve supply chain logistics in build-to-suit and speculative “big box” development along the NJ Turnpike and I-295, while the office market is exhibiting signs of new life in the form of 5,000 to 15,000 square foot users looking to trade up to higher quality spaces while market rates are still relatively low. To view the article in New Jersey Business Magazine, click the link below and turn to page 54.